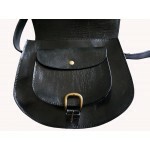 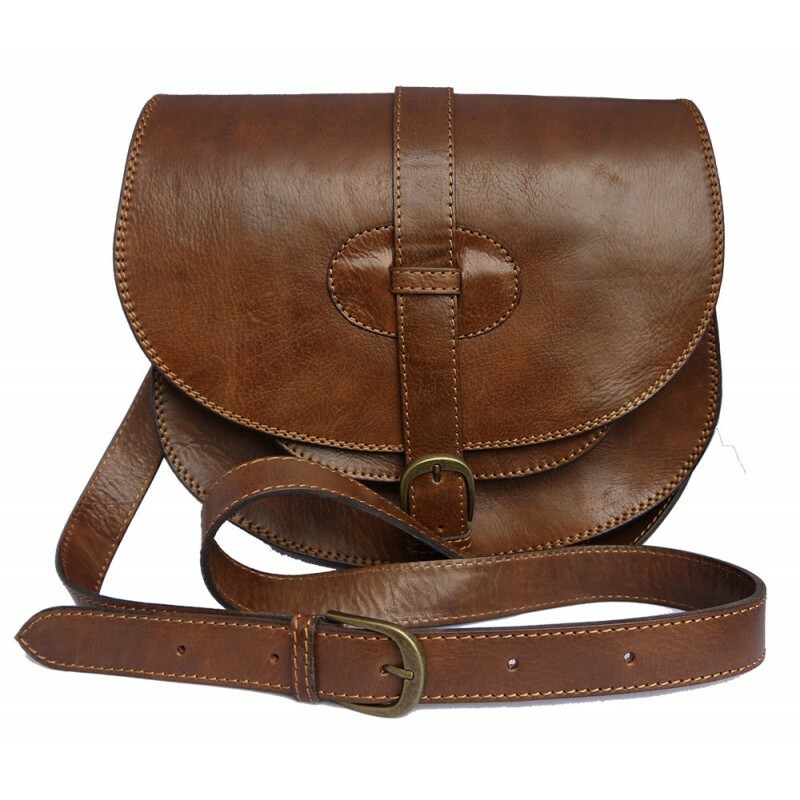 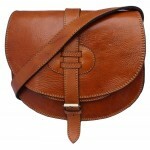 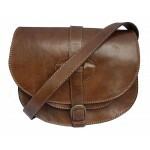 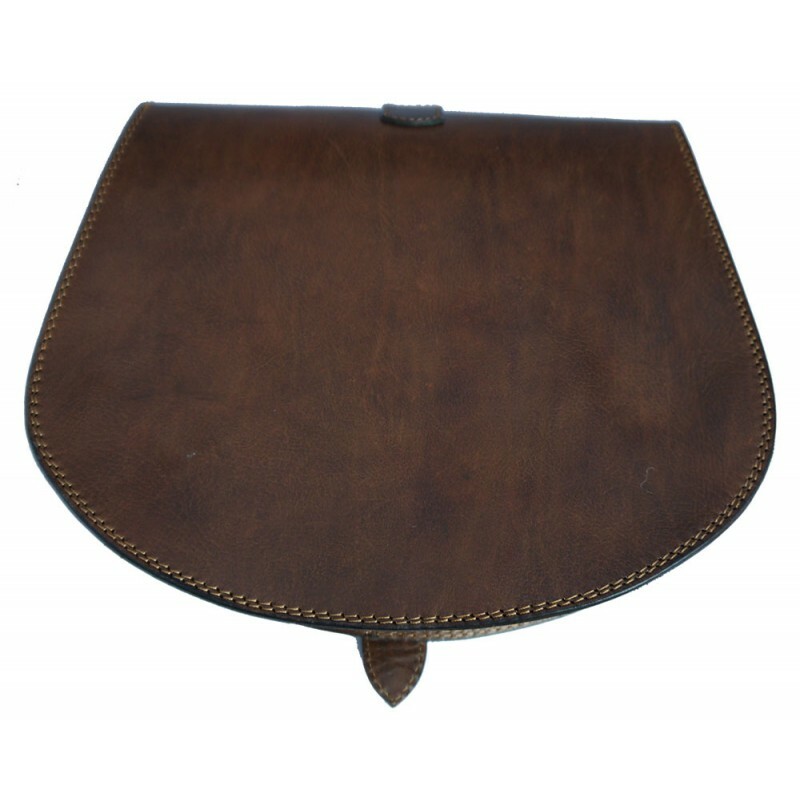 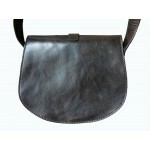 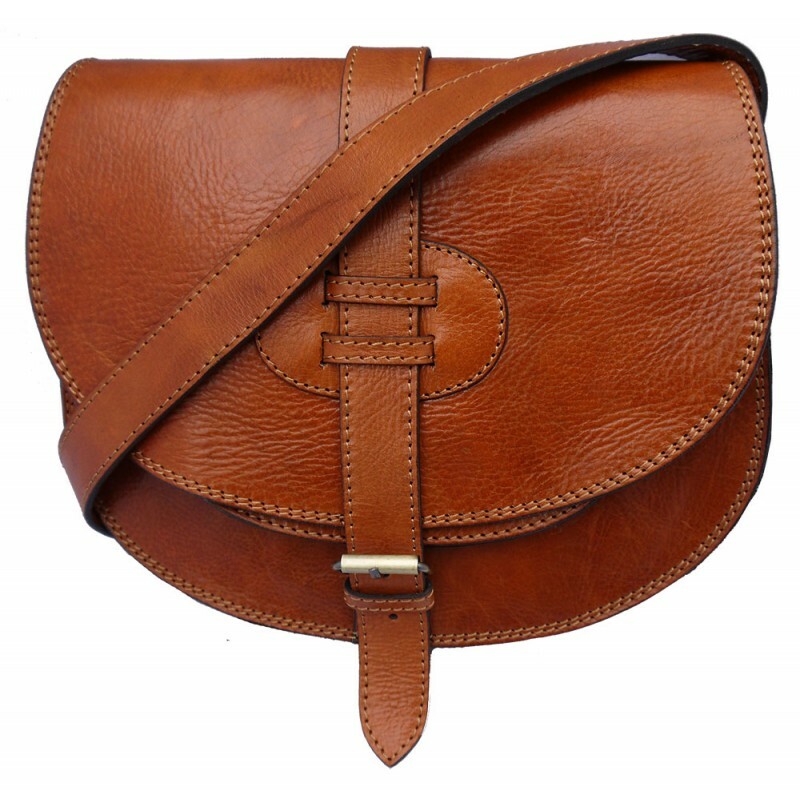 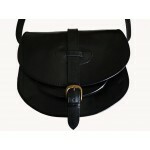 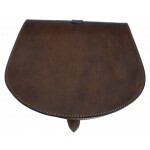 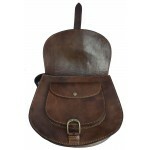 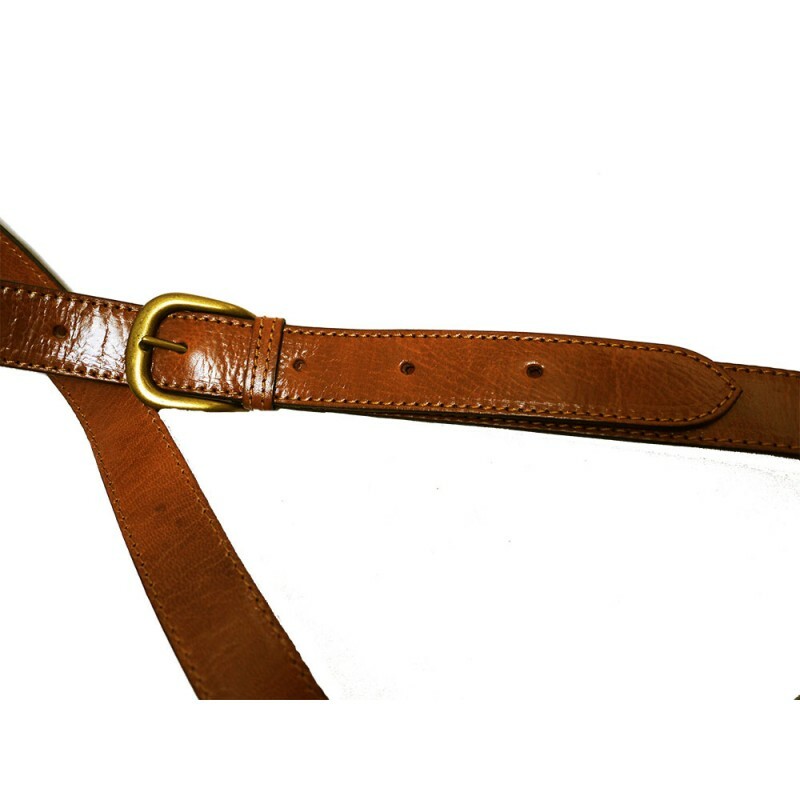 A larger size saddle style hand bag with a premium quality finish. 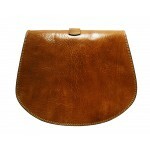 Hand cut, machine stitched and finished in a small workshop in Tangier, Morocco. 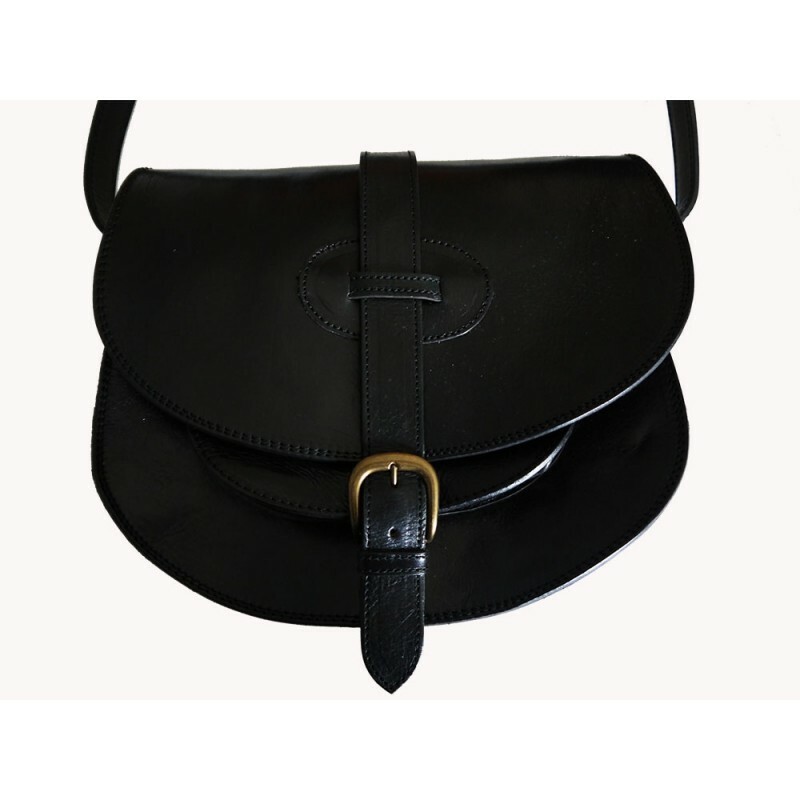 The bag has a micro fibre lining (colour may vary) covering the front and back but not the base, and the flap and straps have leather facings. 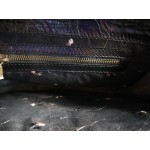 There is a pocket in the lining with a metal zip closure and the front leather pocket has a metal press-stud fastener. (There may be some small scratches on the press stud made by the leather worker when he hand applied the fastener, and small marks on the leather made by his tools.) The bag is finished with a double row of top stitching. 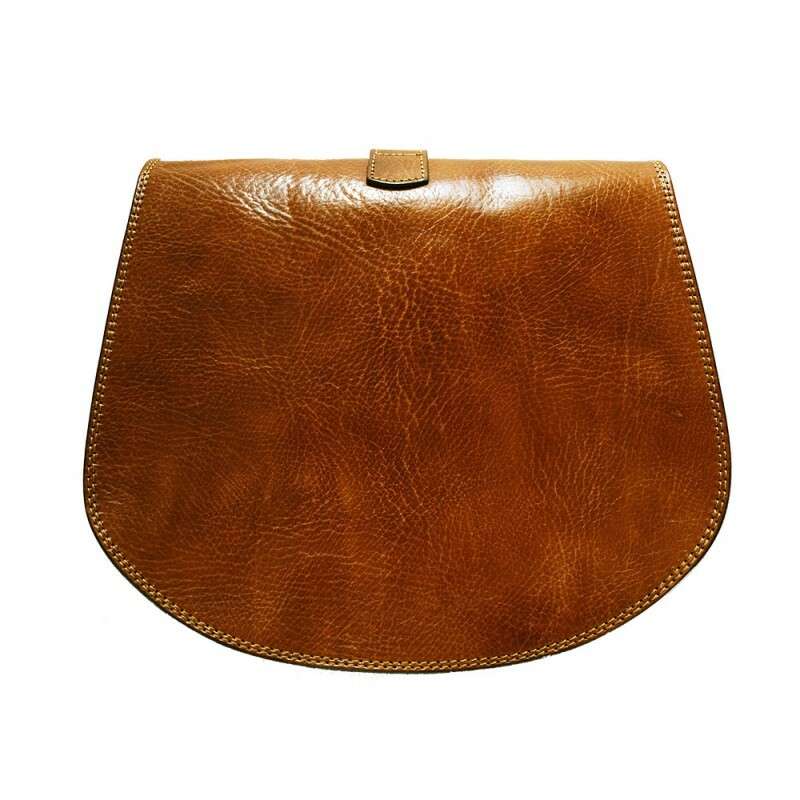 This bag is genuine Moroccan leather, thick and hard-wearing, and has been tanned the traditional way using organic tanning agents, leaving the natural markings of the hide visible and adding to the character and individuality of the bag. 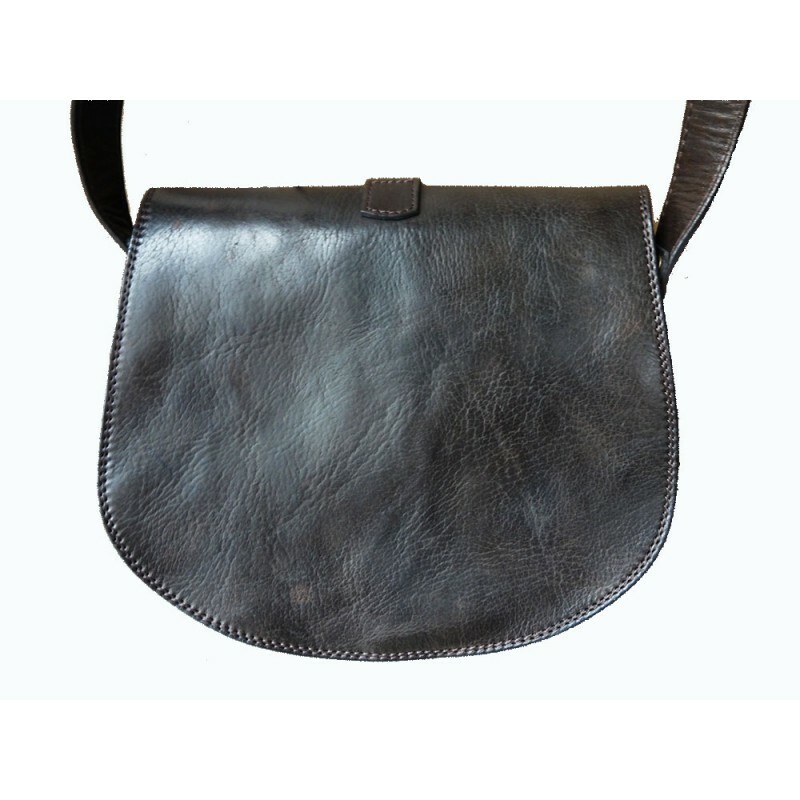 Leather is a porous material and will become more supple with use as it absorbs the natural oils from your hands, developing a darker sheen.